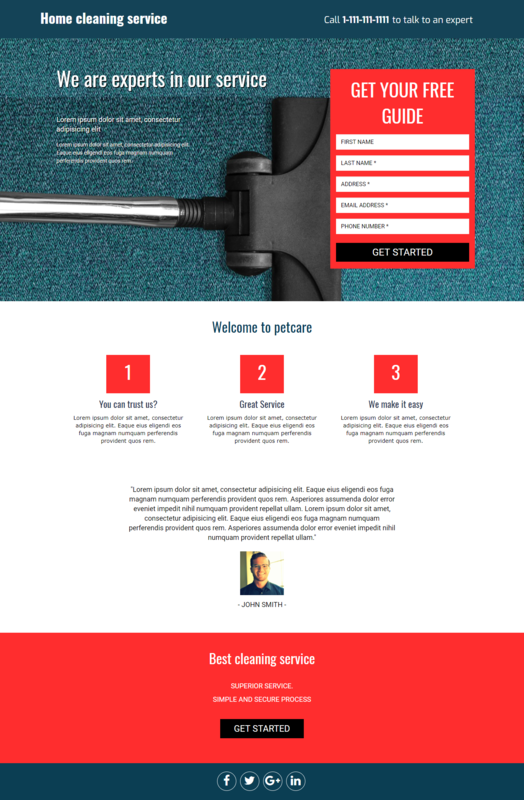 A home cleaning landing page template for companies in the cleaning industry. Edit the elements in the builder to suit your needs. A lead capture and click through landing page theme for domestic home cleaning service providers.